* Before start, in the guide have a section you need to "Select Message #". In this section, before select the message, scroll down through all the messages and then select the message. If you don't do that, when you select the message the game will not continue! This will not be mentioned again on the guide! *Only the first custscene can't be skipped, the others you can skip! Looks great Dark! Can't wait for my copy to get here and use it! Perfect guide, no problems at all, thanks! Thanks, Jack! We're welcome always! CJ always recommend you! Enjoy the guide and any trouble send me a msg on whatsapp! Great guide, I got the platinum with no problem, thank you! Valeu Biganha, o guia está muito bom! I have the Vita version and would need the following help. Trigger - Press R2 - make a decision (Vita)? When should I do the Save 2? Unfortunately, can not make a decision in the Vita version. 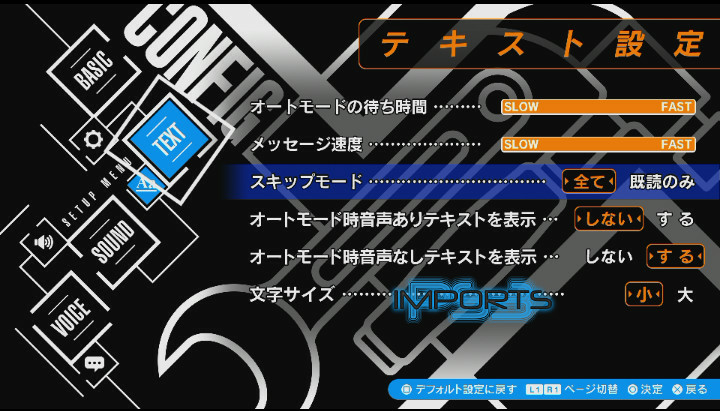 That bottom option on the Config menu doesn’t matter on Vita version. For the trigger L2 or R2 choices on Vita press triangle (brings up white circle) first then hold the L2 or R2 choice for a few seconds to clear choice before returning to normal skip. Thank you for the help replying the question from taymausi! CJ we're welcome always, bro! 5pb is planning to launch on US, EU, and Korean. However, I hope (not just me, but every hunter ) launch on China too! Are you making sure to scroll through all the answers on the messages?